It’s time again to plan life science marketing strategies and tactics for the next year. 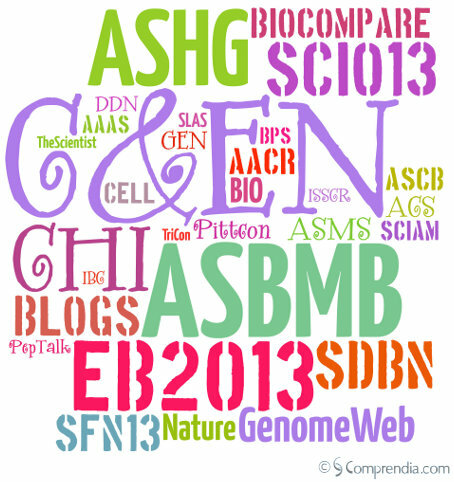 We’ve updated our life science event calendar for 2013, with not only event dates, locations, and Twitter hashtags, but with important deadlines to make sure you don’t miss them. Simply add the Google calendar to yours, and you’ll get updates sent directly to your inbox. In addition, we’ve provided links to other calendars and advertising information below. Too many choices? To help you with your planning, we’re tailoring a Life Science Marketing Workshop Webinar October 2nd to your needs! Take the short survey and sign up here. Comprendia Life Science Events: Comprendia or Google http://bit.ly/lifescievents. Twitter list of conference accounts. Below is our list of life science media kits and editorial calendars. Marketers use them to plan their tactical schedules, see our life science marketing plan series for more details. We’d hoped to find more of the 2013 versions of these schedules, but several are from 2012. We’ll update them as they become available, try poking around the websites and contacting the publications yourself to find them.